Justice is the master concept for thinking about the fair terms of communal life. These terms are understandable in light of the rights and obligations free and equal people would acknowledge as essential to sustained social interaction. The most important of such rights have to do with personal security, with bodily security and also with the security of one’s immediate possessions. 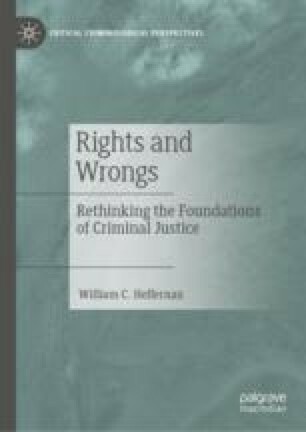 If deliberators were to try to identify these rights while unaware of their personal circumstances (i.e., while reasoning from behind a veil of ignorance), they would agree that members of a just society live under constraints applicable even to those who might benefit by disregarding them. This point has no bearing, however, on those who are unmotivated by the possibility of fair cooperation. For them, restraint and condemnation may be essential if social life based on justice is to be protected.